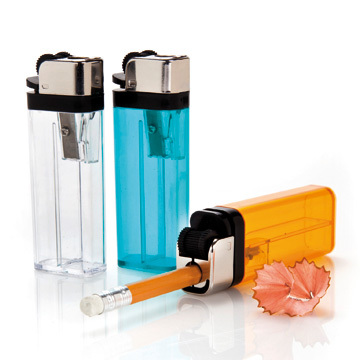 Lighter Sharpener. Original pencil sharpener shaped burner for you to stay with your office staff. Give your fire with this original pencil sharpener burner. A humorous when sharpening your pencils.